Weighty Matters: I Have Something Nice to Say About Pom Wonderful! At least one person who works there has a great sense of humour. 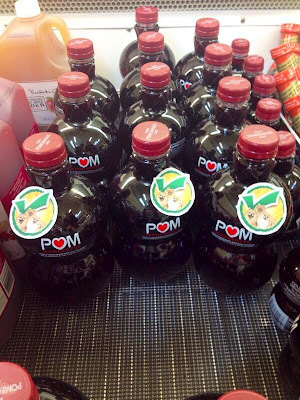 Here's Pom Wonderful's response to Last Week Tonight's John Oliver following his recommendation that people print up stickers and affix them to bottles in the supermarket (seen up above).